Cook McCain Superfries Steak Cut as per packet instructions. Heat oil in large fry pan over a high heat, reduce heat to medium and add onion and garlic. Fry, stirring for 2-3 minutes or until translucent. Add tomato paste and stir to coat onion and garlic. Add sugar, sweet paprika and chilli powder to the pan and fry for 1 minute or until fragrant. Add tinned tomatoes, stir and allow to reduce, uncovered, for 10-15 minutes or until mixture has thickened. 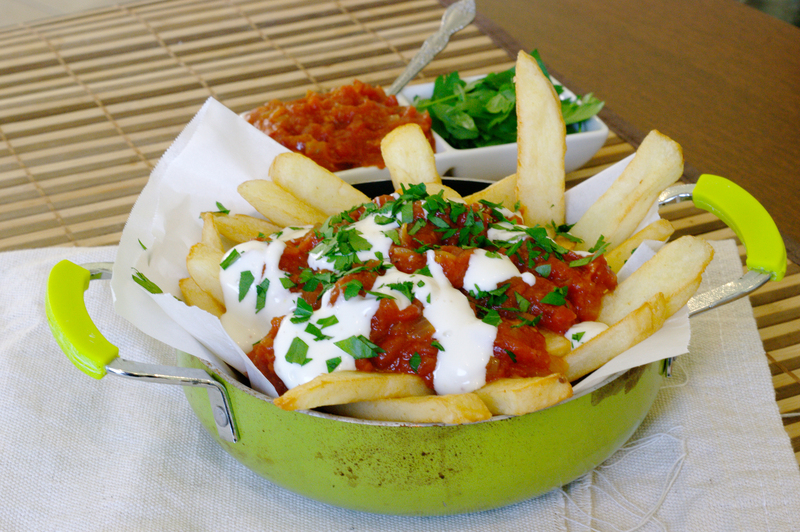 Remove McCain Superfries Steak Cut from oven, top generously with Bravas sauce and aioli, sprinkle with chopped flat leaf parsley and serve.